National Weather Service records indicate it has never snowed in Naples or Fort Myers, even as overnight temperatures have dipped into the freezing territory in recent weeks. Our northern neighbors – even those just in the northern part of the state – have been dealing with frozen precipitation. This buildup of snow and ice has the potential to generate numerous hazards, including those entering and exiting businesses. In many states where this is a regular hazard, the courts follow something called the “continuing storm doctrine.” This means that business owners have no duty to customers to remove snow and ice from sidewalks when a continuing storm does not allow the owner a reasonable opportunity to remedy the issue. This type of case is known as a “premises liability” cause of action, more commonly known as a slip-and-fall. Premises liability claims in Florida are heavily dependent on the legal status of the visitor (which dictates the duty of care they are owed). For instance, those who are on site for the financial benefit of the property owner are owed the highest duty of care. Condition occurred with such regularity it was foreseeable. Florida does not have a “continuing storm doctrine” as this is an issue that rarely if ever presents itself in court. Even if snow or ice does accumulate, it rarely stays long enough for this to be an issue. Still, it can be interesting to explore the ways in which other jurisdictions handle premises liability claims. In one recent case out of Delaware, the Delaware Supreme Court ruled that the “continuing storm doctrine” should continue to be recognized in that state, it did apply to the facts of the case in a gas station slip-and-fall. According to court records, plaintiff slipped and fell on ice near a gas pump at a gas station/ convenience store operated by defendant. Plaintiff was the driver of a shuttle bus responsible for transporting the elderly to various destinations. He had just stepped off the shuttle to fill it with gasoline when he slipped and fell on ice, suffering serious physical injuries that have prevented him from returning to work. The ice was reportedly caused by a light, freezing rain, which was still falling. Plaintiff sued the gas station owner, alleging it proximately caused his injuries by failing to maintain the site in a reasonably safe condition. Defendant argued the continuing storm doctrine allowed the store to wait until the freezing rain ended – and a reasonable time thereafter – before clearing the ice from the walkway. The superior court agreed and granted summary judgment for the defense. It had been noted an employee of the store slipped and fell around 7 a.m. She informed a co-worker, who was supposed to call an ice and snow cleanup company. About 10 minutes later, plaintiff suffered his fall. On appeal, plaintiff argued that if a business decides to stay open during a storm, it can’t avail itself of the continuing storm doctrine, as all businesses owe a duty to keep their property reasonably safe for business invitees. He further argued that modern technology had changed since previous court decisions affirming the continuing storm doctrine were issued. Specifically, many residential and commercial property owners contract with third-party companies for ice and snow removal, and those firms have heavy machinery and other technology to assist in rapid response to these hazards. In this case, plaintiff argued, the employees had a duty to at least warn customers of the icy conditions, with cones, signs, tape – or by closing the store until it was safe. Alternatively, plaintiff argued the continuing storm doctrine should only apply in the event of a severe storm. The state supreme court disagreed, and affirmed the lower court’s summary judgment favoring defendants. 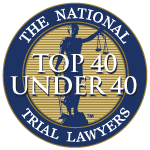 Florida premises liability law is not set in stone, and may continue to evolve in a number of ways. 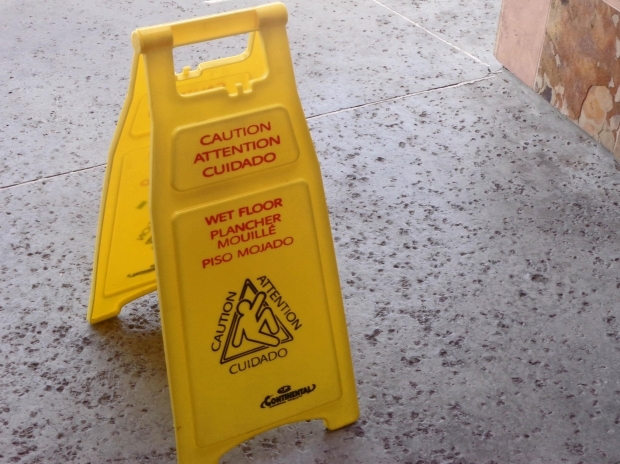 Trust the dedicated Fort Myers slip-and-fall attorneys at Associates & Bruce L. Scheiner to help you navigate these claims.